A new transport Strategy for the Region is being formed… time for bike riders to share our views on public transport. Go to the website: http://g21transport.com.au, Fill in the survey or post in the forum. 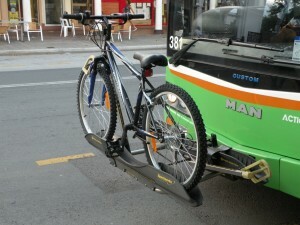 What if we had bike racks on buses, like in Canberra?